The decision regarding Print on Demand suppliers is a minefield because of the burgeoning options available and the particular issues around Amazon’s preferred supplier, Createspace. This task was helped by Karen Inglis’ excellent and now updated blog on the subject. My decision was to use Createspace to distribute to Amazon globally and Ingram Spark for all other outlets including bookstores. For the ebook format I have chosen Kindle direct for Amazon and Smashwords for all other formats. I also decided to order advance copies through Chandler Book Designs preferred POD printer in the UK. Chandler supplied the hi res pdf file and three different book covers to satisfy the different paper weights of the three POD suppliers which required varying spine sizes. 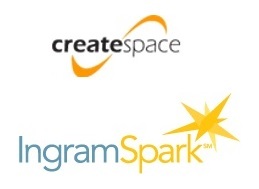 Despite the doom and gloom comments on various blogs about difficulties in setting up Createspace and Ingram Spark accounts I did not have a problem and my pdf upload went smoothly. This entry was posted in Seeking John Campbell, preparing for publication and tagged createspace, ingram spark, karen inglis, print on demand, Seeking John Campbell. Bookmark the permalink.